File handling is a very tedious process when you’re in line with office jobs or any other computer-related professions. Admit it or not, you are dependent on the sole machine that runs your day to day tasks- the computer. But everything that you put in your Mac may be wiped out instantly in any uncertain situations like hard drive crashing, corrupted files, formatted drive, etc. This makes you think that every file that you have invested in that hard drive is worth recovering. 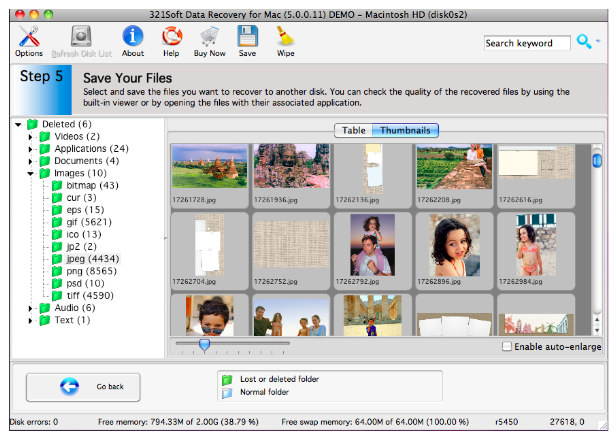 However, a normal file recovery is not enough to solve the problem; this is where the likes 321Soft Data Recovery for Mac comes into the picture. 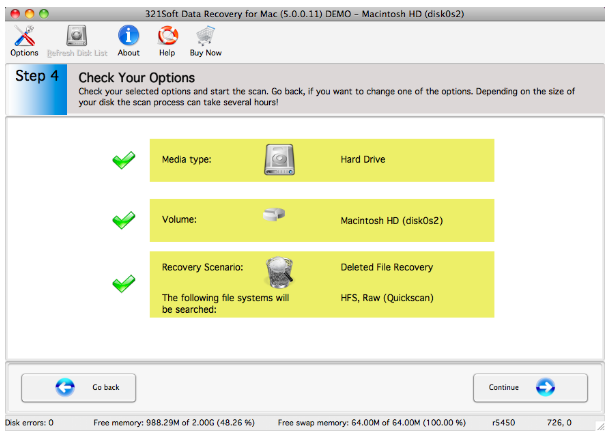 There are a lot of things that you can do with your 321Soft Data Recovery app. Aside from recovering data virtually; you could also retrieve Mac data from a flash-formatted device like iPod, SD card, phones, etc. You can even recover deleted, inaccessible and formatted data in your drive. It’s safe to say that 321Soft Mac data recovery could recover almost all of your files in almost all devices. Using the application is such a breeze. It employs a very versatile preview that allows you to see data recovery in advance. In other words, there’s a view that allows you to assess recovery results. The interface is easy to use, it’s just a walk in the park to go around with buttons and play with the interface. For a first time user like me, it’s very user friendly. One of its stronger points is its speed compared to other recovery softwares. It also has a data wipe feature that will let you wipe unnecessary files so that it could not be retrieved. Plus, it contains ingenious file recovery features such as Quick Scan which allows you to do a fast scanning; the Deep Scan that allows you to recover all lost data from data loss situations and Raid Recovery which allows you to use broken RAID systems in data recovery. Aside from the fact that it is very easy to use with its very intuitive interface, it also support all partitions using HFS/HFS+. Furthermore, it is compatible with Mac OS X versions 10.4, 10.5, 10.6, 10.7 and 10.8. Most of all, recovered output quality is retained. However, the only problem that I have encountered is that it does not support data recovery from iTunes. Files from other iDevices could not be supported like iPhone SMS, contacts, notes, etc. Of all the file recovery softwares that I’ve used, this is, by far, the most convenient to use. On top of that, the efficiency of the 321Soft Data recovery for Mac is on high bars. The software, itself, is filled with loads of file recovery features that cannot be found in other brands. I give it a 4 out of 5 rating.